The SXSW Panel Picker is once again live. Now it is up to us to vote for our favorite panels, to ensure that they are selected for the year’s biggest Interactive conference, SXSW in Austin this coming Spring. We have submitted five ideas in total, and while we already blogged the summaries of the five, we thought it best to highlight each and appeal to you, dear reader, for your precious votes. The first submission we are highlighting features our CEO, Ryan Holmes, entitled Entrepreneurship vs Intrapreneurship. Ryan is in the rare position of leading a fast-growing company here at HootSuite, one whose success is built on rapid innovation. Our growth has been well-documented, so it is no secret that we now have over 300 employees globally, and we are constantly developing new processes to handle our steady growth. But those processes may simplify workflow, and they could threaten the innovation we have built our reputation on. So how can a (suddenly larger and still growing) company hold fast to innovation, and still stay on the hyper-growth train? If there’s one guy to ask, it’s Ryan. And he’s ready to spill the beans, but you’ll have to help get him voted in if his talk is going to be chosen by the SXSW selection committee. Startups are great, right? Passionate people, working around the clock to produce tech or software or a product that will change the world. And the lucky ones take off, with rapid growth scaling from a startup to an awkward mid-sized company in no time, and aiming for higher growth. But often what we see is the growth tapers quickly, the hockey-stick line graph stalls and that amazing momentum is lost. Ryan Holmes, CEO of HootSuite, knows this pattern well. An entrepreneur since the age of 16, he’s got numerous startups under his belt, including HootSuite, which now has over 7 million users worldwide, in every country in the world. His biggest fear? Slowing growth. Every CEO feels the same, a fear of taking risks and failing to innovate as company that enters the later stage period of its development. Playing it safe instead. 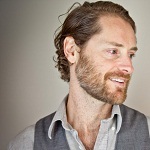 So how will he stave off the stagnant era of HootSuite’s history? Deep dive into his best practices and theories on intrapreneurship at SXSW 2014. Vote for this panel here. Jordan is HootSuite's Lead Storyteller. He writes features, product releases and news stories for the HootSource blog.